Providing you the best range of phonak compilot 2 hearing aid accessory, phonak compilot air 2 hearing aid accessory, phonak pilot one 2 hearing aid accessory, phonak easycall 2 hearing aid accessory and phonak remote mic hearing aid accessory with effective & timely delivery. ComPilot II is Phonak's Bluetooth streaming accessory and remote control. 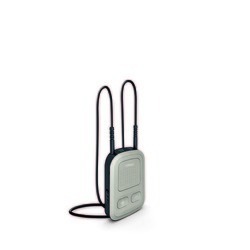 Worn around the neck and simple to operate, ComPilot II allows the hearing aid wearer to seamlessly stream bluetooth telephone calls and audio handsfree to their hearing aids from a Bluetooth equipped mobile phone, tablet or computer. 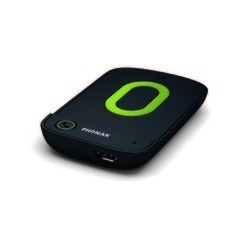 It comes with a 1 year warranty and is available with several additional accessories to stream TV (TVLink II) and external voices via a lapel-worn microphone (RemoteMic). 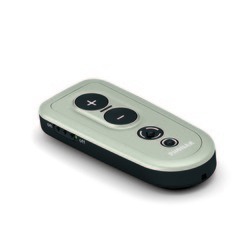 The ComPilot II can function as a basic remote control allowing volume and programme changes on your hearing aids. ComPilot II has been updated to provide a generous 24 hour battery life when streaming. It's battery life when on standby or used simply as a remote control is considerably longer. It can also be used with Phonak's RemoteControl app available for both Apple and Android smartphones/tablets. In response to customer demand for a more discrete Bluetooth option, which doesn't need to be worn around the neck, Phonak have developed the ComPilot Air II. Smaller than the ComPilot and clipped on to your clothing, ComPilot Air II has similar functionality to the ComPilot but only offers a 4 hour battery life when streaming. The ComPilot Air II can function as a basic remote control allowing volume and programme changes on your hearing aids. It can also be used with Phonak's Remote Control app available for both Apple and Android smartphones/tablets. Phonak's basic remote control allows simple volume and program changes via easy to read buttons. It also incorporates a "home" button, allowing the user to reset their hearing aids back to the original settings. 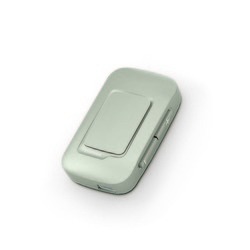 The Phonak EasyCall II is a unique wireless accessory that connects any Bluetooth enabled mobile or smart phone from all brands to Phonak wireless hearing aids. After picking up the phone, it automatically and wirelessly streams the call to both Phonak hearing aids resulting in unmatched sound quality and maximum understanding. The EasyCall II simply attaches to the back of the phone and can be used up to 25 centimetres away from the hearing aids. No further accessories are required. It sports a 10 hour battery life for streaming and a standby of over 1 week. EasyCall II is only compatible with the Venture family of hearing aids. The RemoteMic is a clip-on microphone which pairs with ComPilot/ComPilot II/ComPilot Air to allow Bluetooth streaming of speech from a distance of up to 20meters. Ideally worn at a conference or lecture by the speaker, it ensures the hearing aid wearer sitting elsewhere in the room can hear the speech perfectly. It can also be used situated near a television for clearer TV or placed on a table in a restaurant for instance to pick up conversation, you might have missed otherwise.